Product prices and availability are accurate as of 2019-04-21 13:50:08 EDT and are subject to change. Any price and availability information displayed on http://www.amazon.com/ at the time of purchase will apply to the purchase of this product. View movies and TV shows in extraordinary clarity with this 49-inch Samsung LED TV. Its 1080p resolution ensures bright, realistic visuals, and its slim design ensures you can install it anywhere on a wall or with a stand. 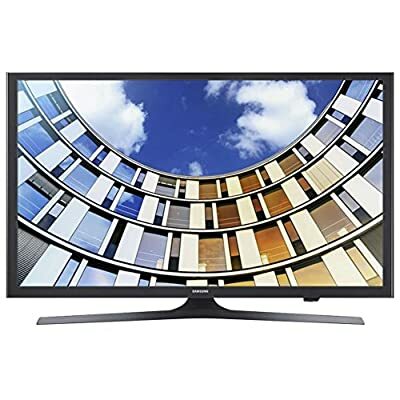 This Samsung LED TV has multiple A/V inputs for connecting external devices easily. The Samsung UN49M530DAFXZA delivers stunning picture quality and clarity from innovative features that put greater beauty into every pixel. The powerful LCD display generate an impressive 1000:1 contrast ratio, sharper detail, and more color consistency The 1080p resolution display produces an incredible level of radiance and crystal-clear detail.